HERE IS SOME ACTION OFF OF HORNS!!! 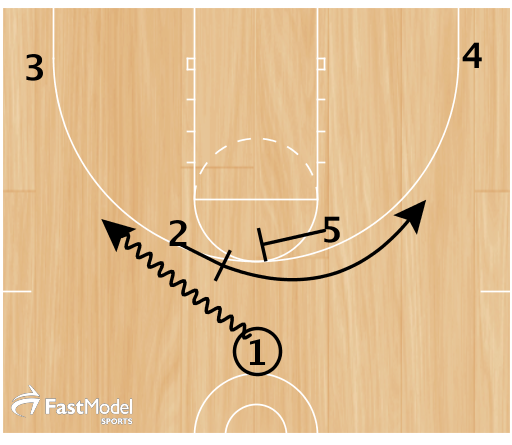 #1 comes off #2, who then runs a fade cut off #5's flare screen. #3 and #4 spot up in the corner. #1 keeps the dribble alive as #5 sprints into a ball screen. #2 and #4 spot up as #5 rolls and #3 lifts to the wing. #1 drives off the ball screen and reads.